Encinitas, CA (March 22, 2019) – Monster Energy AMA Supercross makes its way to CenturyLink Field in Seattle, Washington this Saturday, where a number of your favorite riders will be representing a very special logo on their riding jerseys. In an act of support of Road 2 Recovery (R2R), 250SX and 450SX teams and riders such as Dylan Ferrandis, Colt Nichols, Adam Cianciarulo, Shane McElrath, Justin Hill, Cooper Webb, Blake Baggett, Dean Wilson, Cole Seely, Ken Roczen, and more will join together to “wear their support” for the foundation. 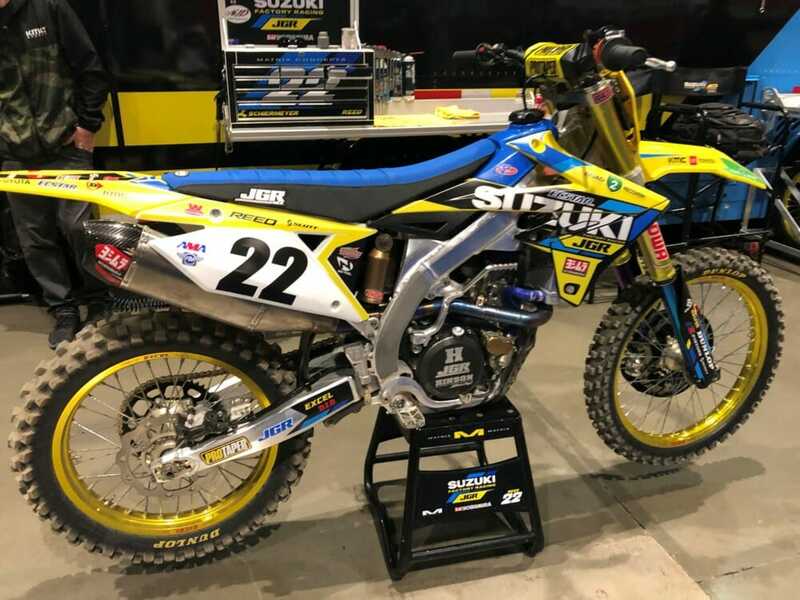 The JGRMX/Yoshimura/Suzuki Factory Racing Team will be showing their support with a unique graphic design that incorporates R2R’s colors and logo. 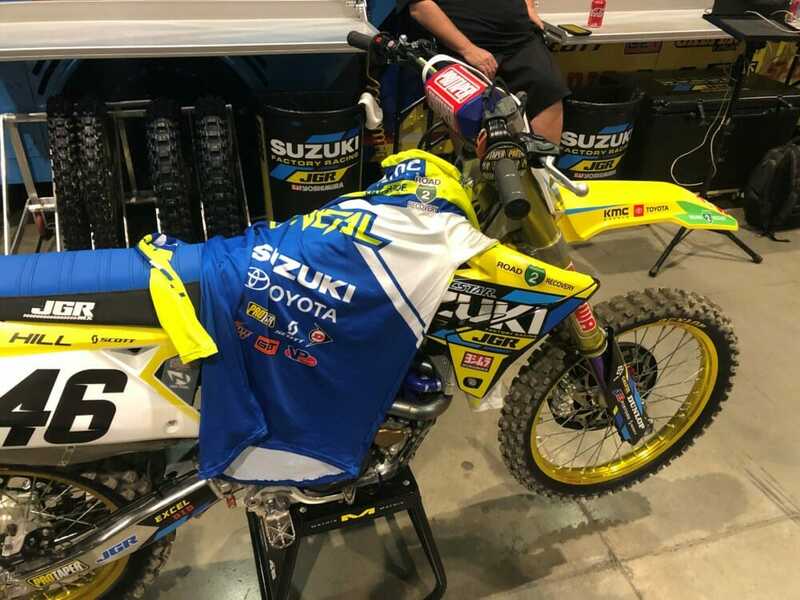 The Suzuki plastics from both Chad Reed and Justin Hill’s bikes, along with Justin Hill’s jersey will be signed and donated. This is going to be one epic eBay auction, with 100-percent of the proceeds going to R2R and the athletes they support. Ken Roczen’s proceeds will directly benefit Blake Savage’s R2R Fund, who was injured on January 14th, 2019 while riding at a private track. Cole Seeley’s proceeds will be going directly to benefit John Fonteyn, father of Team Honda HRC Press Manager with Jonnum Media, Mandie Fonteyn, who suffered a non-moto related injury on February 8th, 2019. If you wish to take part in this monumental occasion, you may do so by bidding on the eBay auction starting on Friday, March 29 at noon PST. This is a five-day auction with a staggered end closing at noon PST on Wednesday, April 3. To see a list of all the riders and teams participating in the #SupportR2R jersey auction, please visit to Road2Recovery.com. As always, R2R continues its support for these amazing athletes when they need it most, and also helps fund important causes that keeps riders safe while on the track. In 2018 R2R donated over $74,000 towards the Alpinestars Mobile Medical Unit with the help of events such as this. R2R also provides donations toward Jake Vanada and the MX/SX ministries, a foundation that R2R feels is important for the mental and spiritual health of our riders and industry. R2R extends a huge thank you to all the riders, teams, team managers and team members, jersey companies and jerseys reps—Fox Racing, Fly Racing, Thor, Troy Lee Designs, Alpinestars, Answer, and O’Neal who made this possible. Without the support of our industry, R2R would not be able to make the differences that they strive to make.